Build confidence with the added protection of these EverGel handwraps from Everlast. With an EverGel neoprene sleeve covering the knuckles and a cotton and spandex blend these wraps provide authentic protection and feel. Build confidence with the added protection of these EverGel handwraps from Everlast . With an EverGel neoprene sleeve covering the knuckles and a cotton and spandex blend these wraps provide authentic protection and feel. Improved design increases functionality and durability while making the gloves easier to use. 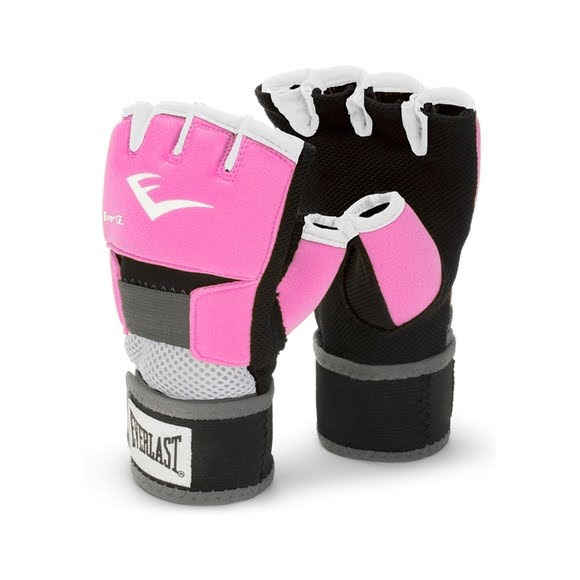 With the purchase of the pink EverGel handwrap, Everlast will donate .25ï¿½ to the Breast Cancer Research Foundation.